The collaboration between BBF and LFA will be announced at the 2017 Thoracic Society of Australia and New Zealand’s Annual Scientific Meeting (TSANZ ASM) in March. In fact, this scholarship will be announced each year at the TSANZ ASM and will provide an opportunity for the recipient to present an overview of their research project. 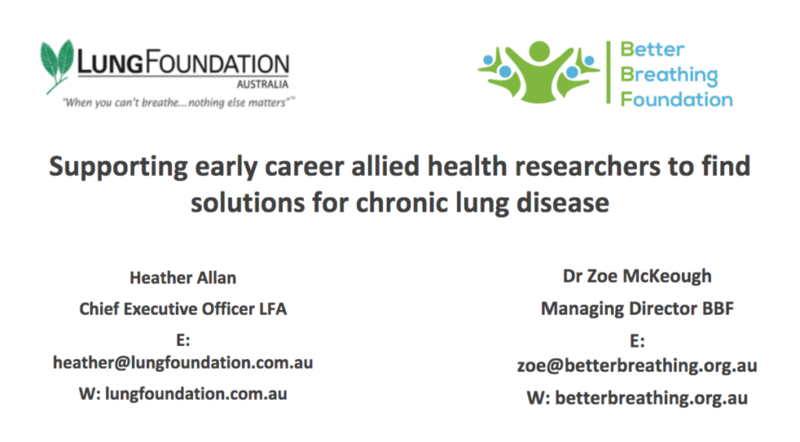 BBF is a not for profit organisation with the primary objective to support early career health research students to conduct high quality research on chronic lung diseases. Please email Zoe McKeough at zoe@betterbreathing.org.au if you are interested in supporting the BBF.